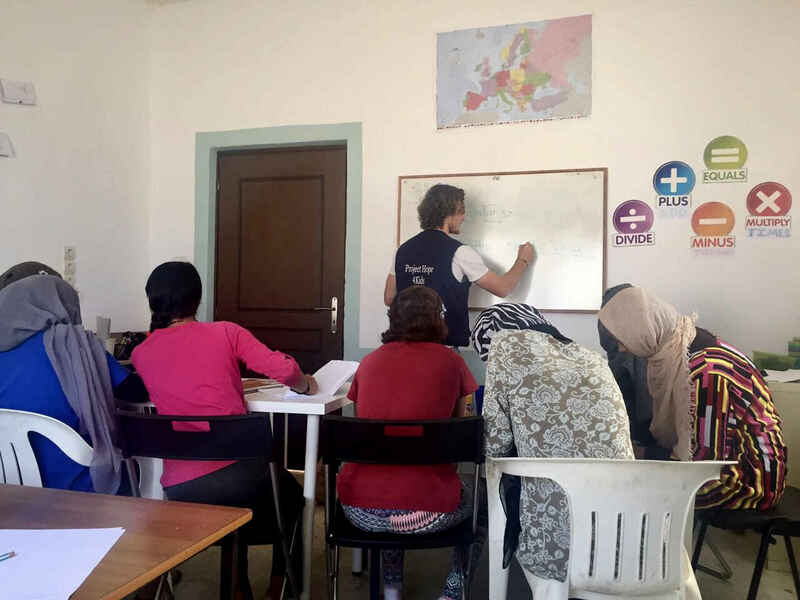 Project Hope 4 Kids is an American, Non-Governmental Organisation, providing non-formal education to refugees (children and adults) in the North of Greece (Epirus). Moreover, it provides sport, arts, and crafts activities. Project Hope 4 Kids started its activities on Filippiada site since June 2016, after the closure of Idomeni site. Filippiada has been and still is ever-changing. Starting with a community consisting of Syrian and Afghans people living in camps, the people survived the winter in containers and many Syrian familie were finally relocated to other European countries during the spring of 2017. Currently the community has people from Syria, Afghanistan, (Kurdish) Iraq, and Iran. Extra containers are being attached to their old container, to improve their living standards. Over the one year and a half in Filippiada, organisations have come and gone, using their big hearts to start projects for the community. Amongst others, Project Hope 4 Kids has been able to enter and stay in order to provide a stable and safe space to which not only children but also adults come for non-formal education (English and Mathematics). Project Hope 4 Kids is small grass roots 100% volunteer driven group, and is completely privately funded. All of our volunteers and like-minded individuals want to try and make a small difference in the face of this enormous crisis. We believe wholeheartedly that everyone deserves the right to peace, safety, freedom and the right to an education. It is only with the help of our donors that Project Hope 4 Kids has been able to provide support in Filippiada and to become a factor of stability, consistency and trust for the children and community. It is our mission to deliver non-formal education consisting of English and Mathematics classes to children aged 3 to 18. When needed, and with the aim to empower parents and therefore take away the burden of translation for children, we also provide English classes to adults. Next to that, we hold a high regard and belief for the importance of the arts especially in children lives. With our classes we aim to provide the children a safe place where they can learn and play, where they do not need to experience feelings of fear and anxiety, but feelings of proudness and achievement. The art and sport workshops are to provide a place where they can make new friends, and create arts and use their imaginations which can be both healing and extremely educational as well. Project Hope 4 Kids envisions staying in Filippiada, either by continuing all our activities or by adapting them to the possible changing needs when children will start to attend formal Greek school. Moreover, we work hard to start projects in different sites in and around Ioannina, which is the capital of the Epirus region we are currently present. We aim to start with our new projects by the end of 2017/begin of 2018. Project Hope 4 Kids aims to change that. We know the importance of bridging the gap between being out of school permanently and helping them to prepare to transition into full time formal education programmes. Not only in terms of knowledge but also in terms of reminding them about basic norms and values, and discipline in the classroom. I've witnessed first-hand how Project Hope 4 Kids has changed so many lives. Including my own, when I was part of this incredible team. I am an educator and a social worker in the United States, and I want all children to have access to learning opportunities. Use this where it is needed most.